There is something strange about reviewing an exhibition of Elaine Sturtevant today, as a critic born in the early eighties. Something awry. Sturtevant came of fame as a young artist in the early nineteen sixties for her detailed duplications of other people’s art works, resembling them formally whilst sharing none of their conceptual concerns: simulacra, realities simulated by formulae, by models and codes, copies without an original. She made copies of pieces and performances by Joseph Beuys and Marcel Duchamp, Andy Warhol and Jasper Johns. Some of these men tacitly approved, others, most notoriously Claes Oldenburg and the Beuys estate, were less forgiving. At the time, the practice nonplussed critics, dumbfounded them, since there was no cohesive critical idiom at hand yet with which to conceptualise it. 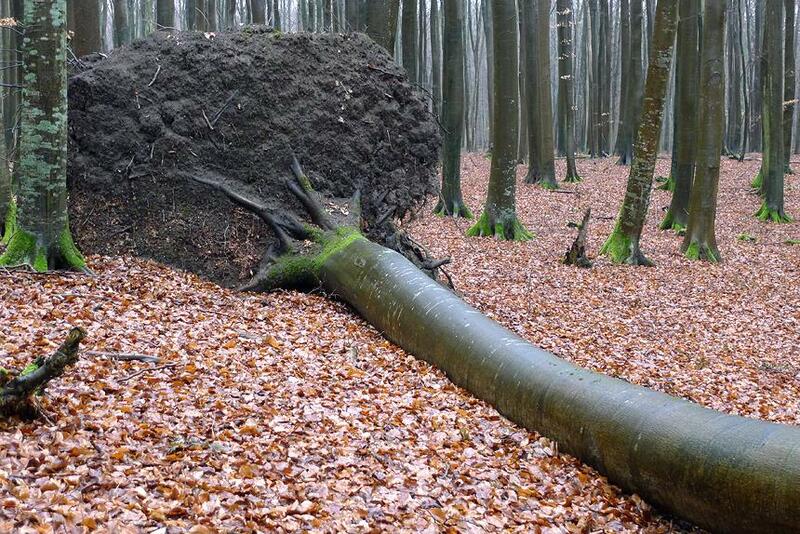 Was this art? What were its premises? What was its value? Indeed, perhaps the single most important reason for Sturtevant to be included into the art historical canon is that she extended the limits of what art is, stretching conventional notions of originality and creativity, concept and context. 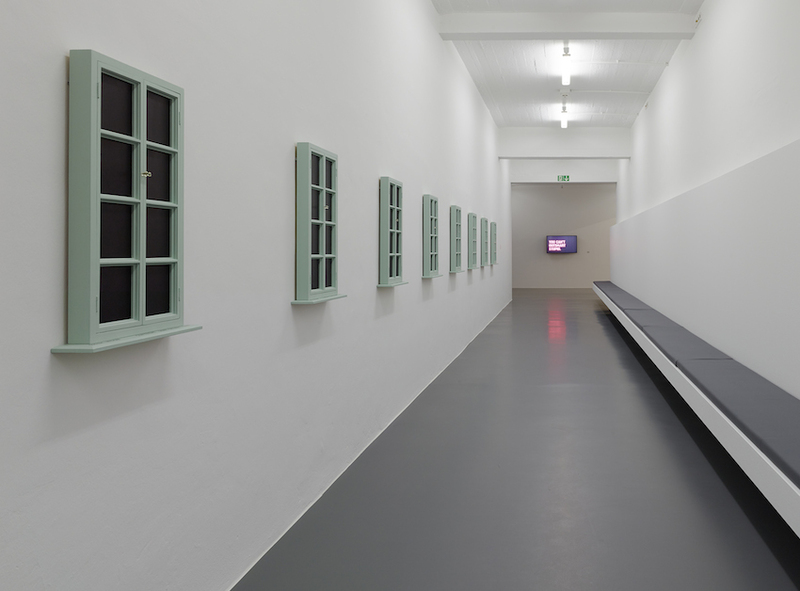 With Number Eight: Sturtevant, The Stoschek Collection presents a collection of recent videos. 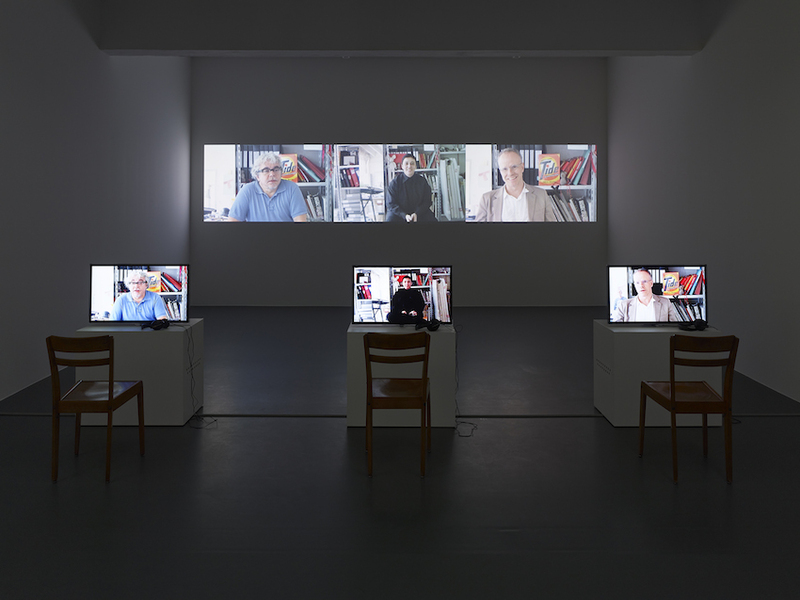 In line with Sturtevant’s earlier work, the videos are copies, repetitions or re-appropriations. What is different is the format: video, a medium with which the artist only started working at the age of 75. 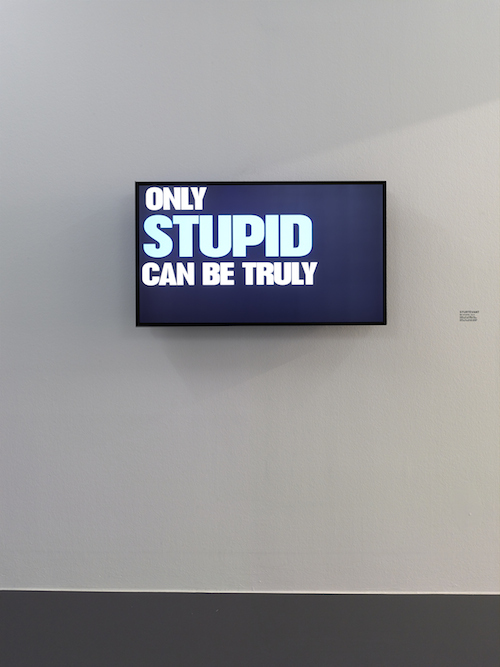 The first video on display is a copy of the Diesel advertisement Be Stupid (2013). The ad, a series of catchy clichés and juxtapositions printed in colorful Impact capitals and accompanied by an up-tempo pop song, makes a plea for stupidity over smartness. Stupidity, it suggests, is brave, creative and affirmative while smartness can be put on a par with cowardice, deconstruction, and ironic distance. “Smart may have the brains”, it says, “but stupid has the balls”. And: “Smart recognizes things for how they are. Stupid sees things for how they could be”. 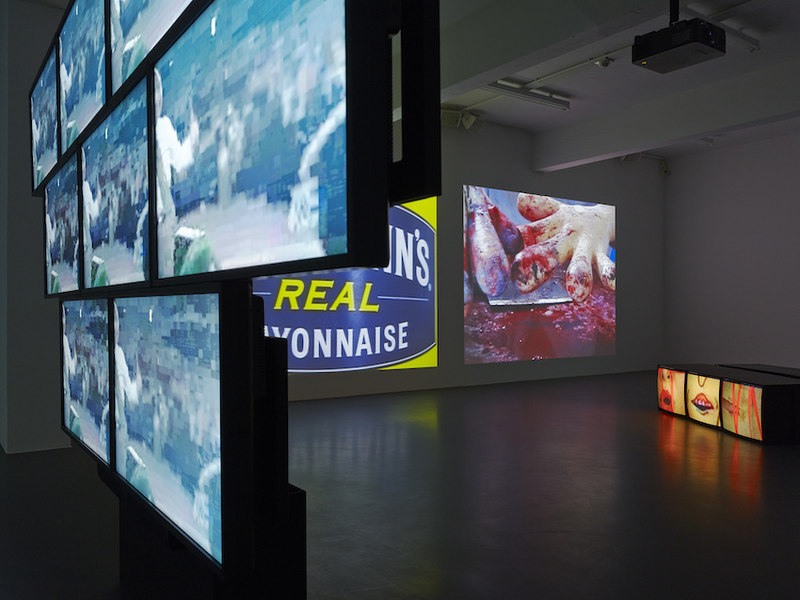 By re-screening the video within the art gallery context, Sturtevant draws the viewer into at least three discourses. First, most conventionally and in my view least interesting, by repeating the video in a constant loop, detached from the sales pitch and inserted into a contemplative context, it reflects on the premise, logic and goal sustaining its argument. This is certainly insightful, demonstrating how companies create the myths that help them sell stuff: wearing Diesel Jeans is for doers, Coca Cola makes you happy, etc. It is also funny, since Sturtevant shows that in creating a myth of stupidity, Diesel acknowledges that its customers, or that any consumer, needs to dumb themselves down in order to believe in the myths of advertising – if you think about it, after all, you surely will realize Coca Cola does not hold the key to happiness… However, less sympathetically, seen in this discourse, the video also reduces art to the kind of passive, populist social commentary that was so popular in the 1990s (something Sturtevant may in turn, seeing as this video is exhibited years later, also deconstruct). A second strategy, one that has been equally common the past half century or so, is to question the relationship between art and commerce. By screening a Diesel video in an art context, Sturtevant reflects on the interchange between art and commodity culture, on their mutual re-appropriation and re-signification, as well as on their context-specific limits: is it still, if it was ever, possible to say where one ends and the other begins? 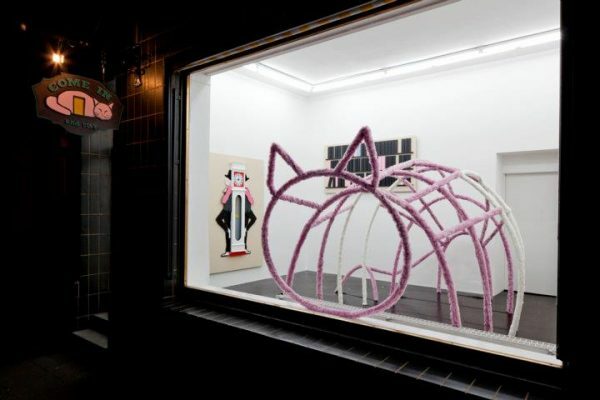 The video intimates a third discourse, however, one that may seem as unlikely to Sturtevant’s oeuvre (at least as it has been canonised) as that it is prevalent: what Deleuze calls “becoming“. The notion of becoming for Deleuze entails, crudely put, that every gesture is an actualization of a multiplicity of potential other gestures which springs from an actualization of another such plurality of possibilities and continues into yet another such range. Other terms that have been used to describe this phenomenon are the diagram, lines of flight, and the virtual. 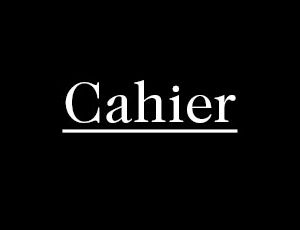 The function of the advertisement’s elements – soundtrack and font, argument and colors – and their relationship to one other is dependent on the context in which they are shown. 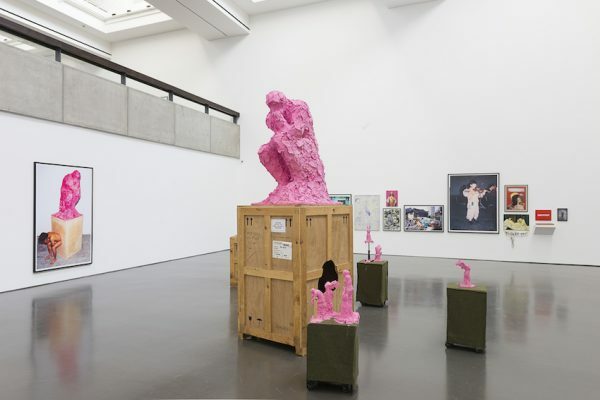 The font may well actualize a different potentiality on television at home than it does here in the gallery, just as the clichés of the argument could become philosophical conundrums in another setting. Encountering the ad here, I began contemplating and questioning the validity of the dualistic opposition between smartness and stupidity, the relationship between the initial premise and the final solution, the ad’s relationship to the other videos on display in the space, its relationship to the various other contexts it may be shown in, and more generally society’s increasing anti-intellectualism, seeing it no longer exclusively for what it was, but for what it could become – an act of stupidity in itself? Tellingly, Sturtevant explicitly mentions Deleuze by name in the title of another video-installation, the L’abécédaire de Deleuze: First Series (2012). The six-channel installation re-enacts the philosopher’s television programme, in which he elaborated on a philosophical concept for every letter of the alphabet, with well-known curators from across the Europe and the US (although to be honest, I could only identify a few of them myself, an interesting and inevitable lapse I imagine more visitors will have experienced). Sturtevant asked the curators to expand on a letter from the alphabet just as Deleuze once had, registering the genealogy of their thinking as well as the rhetorics of their argument, i.e. the actualisations, as they developed it. 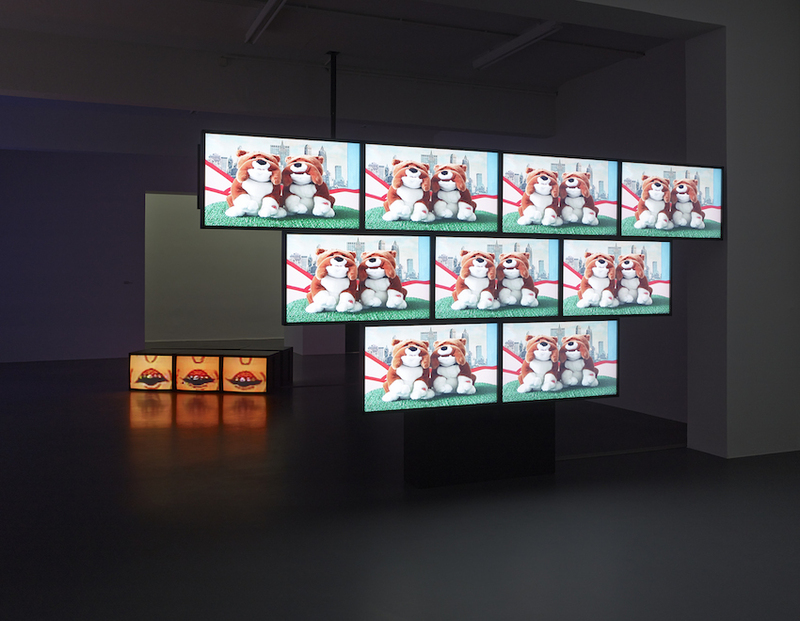 Positioning three television screens alongside each other, each with its own headset, Sturtevant suggests that one such actualization always comes at the price of at least two others that cannot be seen or heard simultaneously. As they speak moreover, still images of the curators are projected on a white wall alongside the videos, explicating the distinction between being and becoming, between identity and event. 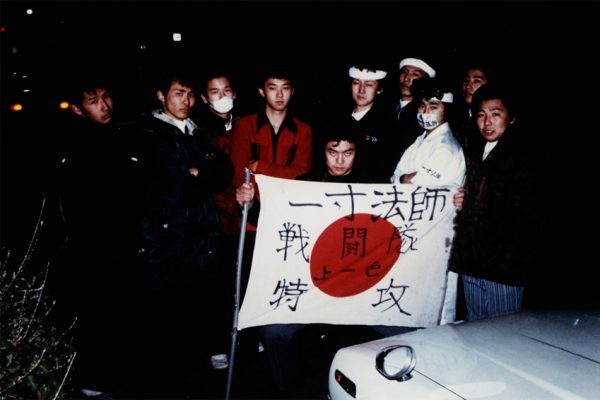 Fairly or unjustly, it was this discourse that increasingly informed my view of the works. 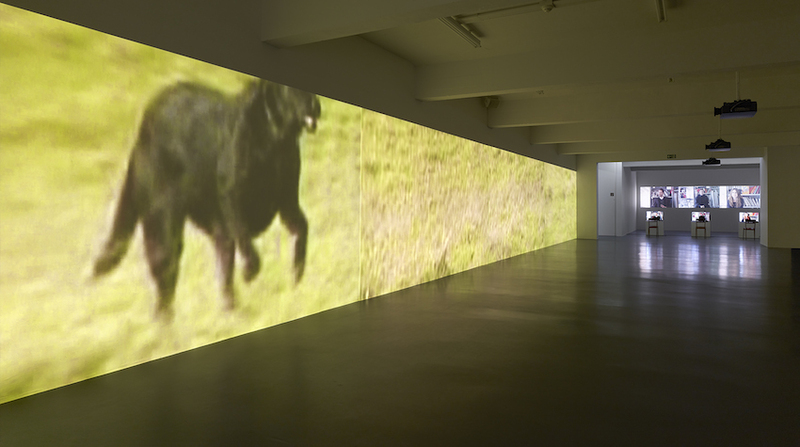 In Finite-Infinite (2012), an impressive and moving nine second video-loop of a dog running from left to right across three panels, Sturtevant makes manifest becoming itself. Since she does not show the dog’s trajectory but only films the animal mid-run, the video registers as a visualization of pure movement. Indeed, as if to emphasize the extent to which each of the dog’s steps is merely the actualization of a multitude of possible steps, the projection falters every other second, dropping the dog back a few inches, forcing it to take the step, perhaps another step, again. The brilliant 9 channel video-installation Elastic Time (2010), in which Sturtevant links images of different people, animals and things from different sources, some commercial, some artistic, projects a similar logic. Within the first discourse Sturtevant draws the viewer into, the sequence is presumably a contemplation of the fragmented, disorganized and discontinuous nature of the Internet and post-Internet thought. Seen within another discourse, however, the images can be understood as moments in, or more appropriately, lines of, flight. There does not seem to be an internal logic between the individual shots except for that all of them – from owls turning their head to frogs leaping, from a couple ballroom dancing to flowers in bloom – are shots of movement, of figures moving from nowhere to everywhere; shots, that is, of becoming. Number Eight: Sturtevant is a demanding exhibition, pursuing and developing difficult concepts, adopting diffuse and confusing expressive modes, and expecting considerable input on behalf of the viewer. But it is also extremely generous, in a way, I guess, that only an artist of this maturity can be, articulating a single argument whilst allowing for the coexistence of a multiplicity of interpretations and discourses, both critical and affirmative, artistic and social. I highly recommend it. Once I’ve climbed back up from the edge of the cliff, I am sure to go again.